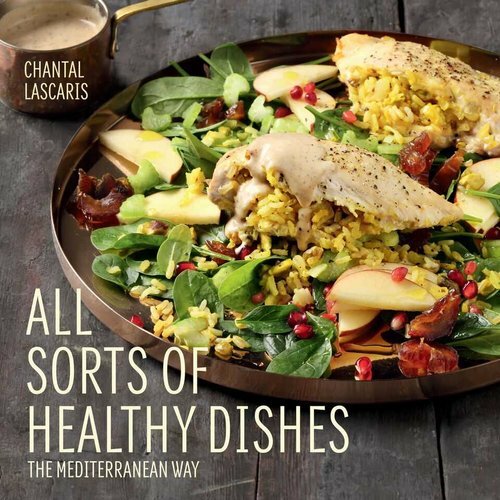 Author Chantal Lascaris has travelled widely throughout the Mediterranean region and has taken her inspiration from the cuisine of the countries bordering on the Med. As she has always been interested in health and nutrition, she has focused on the Mediterranean diet cooking, which is relaxed, tastes absolutely wonderful and still offers well-documented health benefits. Moreover, she has ensured that all the ingredients are easily available in South Africa. Accompanied by mouth-watering food photography, the recipes will take you on a culinary journey through the Mediterranean zones of France, Greece, Italy, Morocco, Spain and Turkey. Instead of an expensive travel itinerary, all you need is your kitchen, cooking utensils and a copy of All Sorts Of Healthy Dishes. And if you’re planning to invite your friends, there is even a selection of menus to guide you.